The Corps was formed 01 January 1975 and designated the 105 Battery – 7th Toronto Regiment, Royal Canadian Artillery, Royal Canadian Army Cadet Corps with its Canadian Forces affiliated Unit being the 7th Toronto Regiment RCA. Its co-sponsors at the time were the Kinsmen Club of Streetsville and the 7th Toronto Regiment R.C.A. The Corps paraded in the old Streetsville village pumphouse, located just North of the Streetsville Overseas Veterans’ Club, Royal Canadian Legion, Branch 139, adjacent to the Credit River. On 07 April 2012 the Corps moved in to the former Russell Langmaid Public School, renovated, repurposed and renamed as the Streetsville Cadet Centre, which provided a better environment for instruction. As a result of the move the Corps has grown from an average of thirty Cadets prior to the move to its current size of one hundred. Effective 26 May 1987, 105 had a new sponsor – John Rielly Transportation (Streetsville Army Cadet Committee) and a new Co-Sponsor – The Kinsmen Club of Streetsville. The Royal Canadian Legion Branch 139, Streetsville became the sponsor in 1990 and has since been supporting us to the present times. 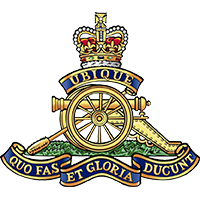 Our affiliated unit, 7th Toronto Regiment, Royal Canadian Artillery is a reserve artillery regiment located at Moss Park Armoury, Toronto, Ont. The Regiment is rich in history dating back to pre-confederation. It’s oldest battery, 9th Battery, has recently celebrated the 150th affirmation of the Freedom of the City Parade, re-affirming the legal right for 7th Toronto Regiment, RCA to have weapons, bayonets fixed, and drums beating in the City of Toronto.